So, the Loudoun County libraries are awesome about having tons of free programs and activities for both adults and kids. They recently had the Storybook Festival. 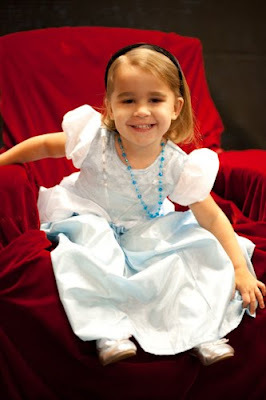 The kids were encouraged to come dressed as a prince or princess. They had a ton of super fun activities. 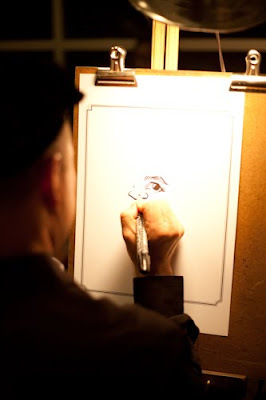 Face-painting, hopscotch, live music, etc. 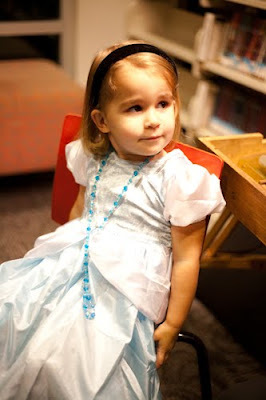 However, I think E's favorite part was looking at all the other little girls dressed in their finest princess attire. It was literally as if the Disney Store had exploded inside the library! 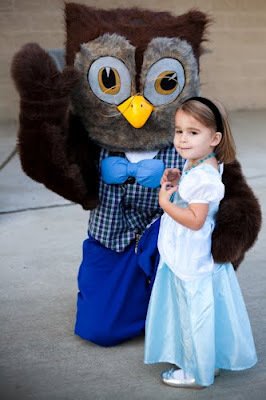 Here's Miss Priss with what I guess is the mascot of the library system. She just marched right up to him like we were still at Disney World. Unfortunately, it looked nothing like her, so I stuffed it in the top of her closet when we got home. 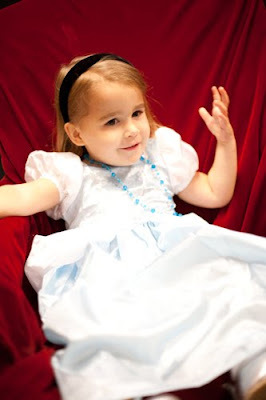 If anyone wants to see a REAL PRINCESS, they need to see these pictures! She is just breathtaking! Ladies & Gentlemen, may I present Princess Eleanor? ?